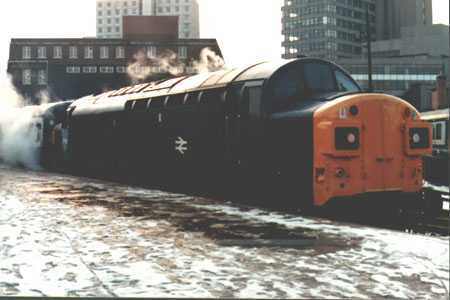 The winter of 1982/3 saw a Sundays only 1511 Leeds - Portsmouth Harbour service, reporting number 1O92. 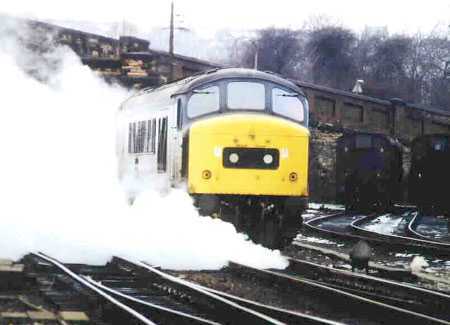 On 20/2/83 the train is seen at Sheffield with 45076 in charge. 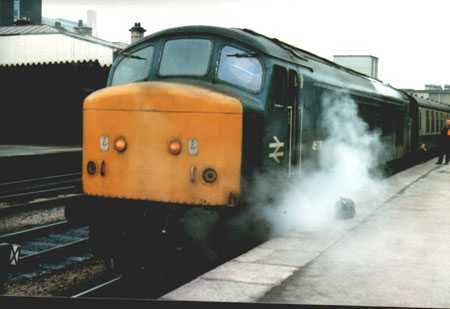 The locomotive went to Crewe works shortly afterwards for its final General Overhaul. Next is 47077 "North Star" at Reading at 0204 hours on 24/5/81. 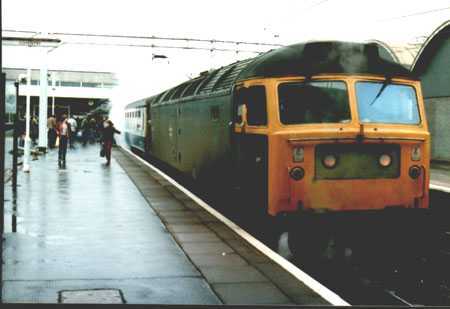 This locomotive was converted to electric train heat and renumbered 47613. 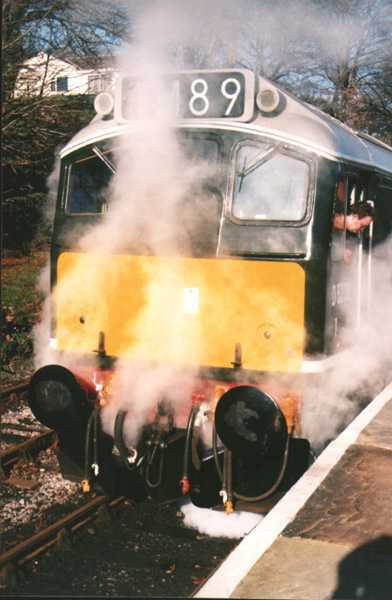 A further renumbering took place when twin fuel tanks were fitted to 47840. For the carriage fans the vehicles in the picture (from behind 077) are 81619,80584 and 81040. 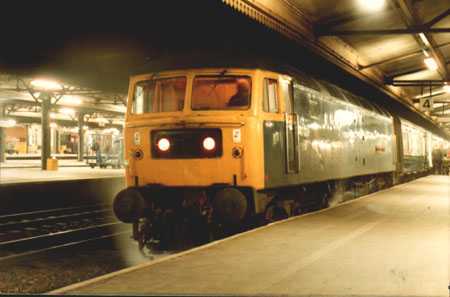 Here is 47121 at Coventry with the 0925 Manchester - Poole of 26/2/83. Note the spectacular steam leak on the train! Click HERE for some McSteam!